The focus of Secunda Branch begins where every customer has a named sales engineer, providing two-way dialogue and feedback. On larger sites, we offer a dedicated on-site presence, ensuring easier communication and better partnerships. "We aim to deliver a customer experience that surpasses expectation, and truly re-defines what the world expects from their mechanical seal partner." We aim to exceed expectation consistently: in delivery, quality, reliability and service. 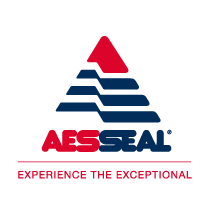 We’re challenging industry standards, challenging our competitors, challenging thinking since I joined AESSEAL (Pty) Ltd in October 2006. To us, the customer really is king. It is our focus on customer service and quality that has seen us grow year on year since we were established in 1983. 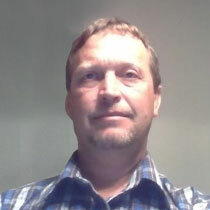 I’m responsible for business development within the reliability market for AESSEAL (Pty) Ltd – Secunda branch since May 2008 focusing on delivering customer service. We are offering our customers the complete package in reliability and exceptional customer service. I’m responsible for business development within the diverse Power Generation and Petrochemical market for AESSEAL (Pty) Ltd – I Have joined AESSEAL (Pty) Ltd Secunda branch in August 2008, becoming an integral part of a dynamic sales team supporting all aspects of our business in and around Mpumalanga, focusing on development and successful relationship building with our customers.